Google’s vice president for engineering - Vic Gundotra has released some interesting new information to the public about their Google+ social network. We all keep a close eye when Google releases user number about + so we can see growth. Around January 20 their social networking site reached 90 million users. 50 million daily active users on Google Plus properties (this includes the plus.google.com site and people clicking the +1 button on other Google sites). How much time an average user spends on the site is still very much the question. Reports from Comscore put the average US Google Plus user spending 3.3 minutes on the site per month, compared to 7.5 hours on Facebook. I am starting to use Google+ more and more. 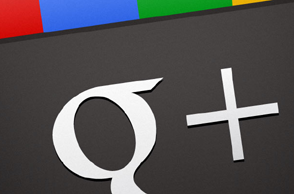 In the social media/ tech/ SEO space the Google Plus site definitely has like-minded individuals participating. However the issue is that the ‘general public’ haven’t signed up.